You can read an excerpt of Sorcerer to the Crown online. Zacharias Whyte has just inherited the position of Sorcerer Royal from his mentor and adoptive father. Already, there are many who would like to see him fail, some who conspire against him. Mysteries surround the death of his mentor: how did he die, and where did his familiar, a small dragon, disappear to? What secrets is Zacharias keeping? Prunella Gentleman is a young woman living in a school of magically gifted girls from high society. There, they are being taught means to keep their magic in check and repress their unnatural natures. But what if conventional wisdom is wrong - what if women are not too frail to be competent at sorcery? Sorcerer to the Crown is one of the most eagerly anticipated fantasy debut novels this year. 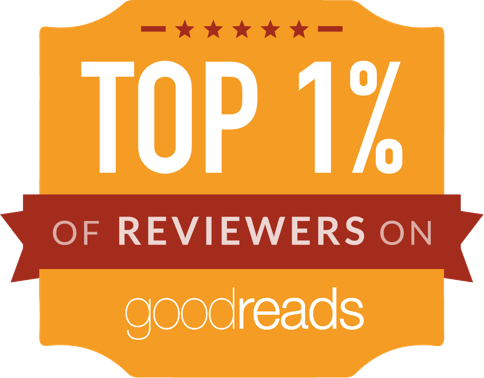 Only Aliette de Bodard's House of Shattered Wings is getting (slightly) more word of mouth in booky e-circles. So I've been keen to get my mitts on a copy for a while now. Inevitably, the first comparison that springs to mind once you start reading is Susanna Clarke's classic Jonathan Strange and Mr Norrell. Readers could be forgiven for thinking Sorcerer to the Crown is a sort of Strange & Norrell light. The setting is all-too similar: during the time of the Napoleonic Wars, English magic has been floundering and is in need of revival. Magic is governed by a society of stuffy noble men, as a sort of alternative to politics and priesthood for surplus younger sons. In comes a burst of magical talent from an unexpected direction, and the society of magicians gets flustered and alienated by the changes foisted upon it. Meanwhile, politicians want magic to solve foreign policy problems and assist in war and empire building efforts, while sorcerers need magic to remain aloof and respected, distanced from the grime of politics. There are some key differences between Sorcerer and Strange & Norrell. Sorcerer to the Crown is a lot more light hearted in its narrative, and most of its characters are actually pleasant individuals. The writing voice isn't quite as infused with dry wit, but the story moves along at a brisker pace and with a lighter touch. The other key difference is the very conscious decision to make this not yet another book about white men. Jonathan Strange had the outstanding semi-tragic black hero of Stephen Black as one of the minor characters. 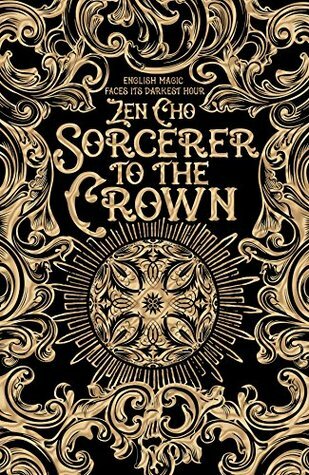 Sorcerer to the Crown puts a black male sorcerer (Zacharias Whyte) and a half-Indian female magical person (Prunella Gentleman) in the protagonists' chairs, and of the side characters, it's a South Asian witch who steals the show. Zacharias and Prunella are both outstandingly gifted, both adopted and mentored by well-meaning but quite patronising white noble people, and both used to repressing themselves in order to please their adoptive parental figures. Until things change, through death or betrayal of trust. Of the two, it is Prunella who is more strong willed, single minded and proud. Zacharias is a scholar, with a tendency to isolate himself and keep aloof. Prunella is a social butterfly, outgoing and a force of nature. If the novel were told through Zacharias' eyes, Prunella would be a manic pixie dream girl. But the book gives them equal space, which means we get a lot more Prunella (and insight into her) than Zacharias does. This de-pixies her and serves the novel well. While it's light-hearted and fun, I did not love the novel entirely. Zacharias does not take the danger to his person seriously, so neither could I, which softens the drama. When the grand finale happens, the big confrontation is handled with a lightness that reminds me more of mid-season Doctor Who battles: it's a very tongue in cheek finale, and very very safe. It feels more like a story for children than young adults or adults at that point. This lightness does not really work for me, in the context of a novel about disadvantaged people flourishing and succeeding against all odds. The novel does not have to get all po-faced and worthy, but when there are conspiracies to murder and do blood sacrifice, the intended victim should probably not shrug those things off. When there is a real risk of people being burnt alive, the people in question should probably not laugh at their persecutors. Sorcerer to the Crown is a novel about girl power, attitude and inherited superpowers overcoming persecution, oppression and conspiracies. It makes the book fun and light, but it sells short the challenges involved, and it's lazy. It's very much like Doctor Who in that regard - The Doctor often beats his opponents with attitude and gobbledigook and a huge (sense of) superiority. This is why I dislike many episodes of Doctor Who. I like it no better when the character beating their opponents with attitude and surprises and a huge (sense of) superiority are ethnic minority sorcerers in Regency Britain. They never act like people who perceive themselves to be in genuine peril, and so their successes end up looking too easy, not earned. Despite those criticisms, I enjoyed Sorcerer to the Crown. I will want to read the sequels when they come out: it's a promising start to a series, even if it errs a little on the sight of lightness.